To the extent that PromoCapture provides for the download of PromoCapture software from the Site and any information or documentation related thereto (collectively "Software"), such Software is protected by the applicable copyright, patent or other intellectual property rights of either PromoCapture or the third-party licensor. Any use of the Software is subject to the terms of the applicable end-user or other license terms contained in the files for such Software. You are permitted to use the Software for your personal, non-commercial use or legitimate internal business purposes related to your role as a contractor of PromoCapture, partner of PromoCapture, or current or prospective customer of PromoCapture. As between the parties, PromoCapture solely shall own and hereby retains all rights, title and interest in and to the Software (including, without limitation, all patent, copyright, trademark, trade secret and other intellectual or industrial property rights embodied in the Software). 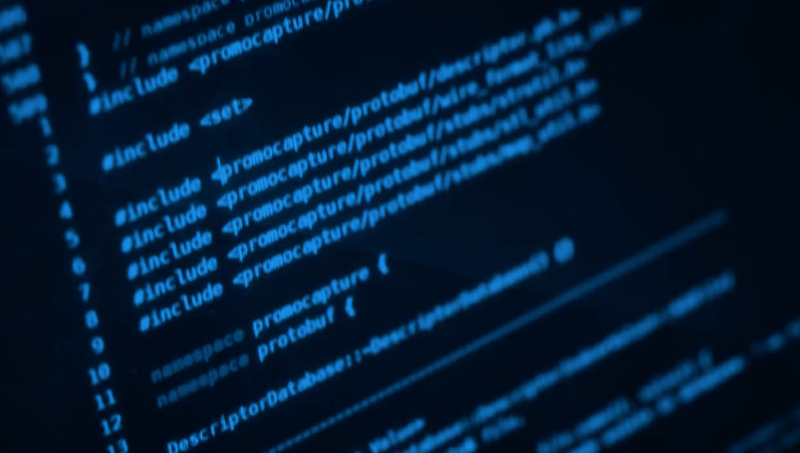 You shall not reverse engineer or attempt to discover any source code or underlying ideas or algorithms of any Software (except to the extent that applicable law expressly prohibits such a reverse engineering restriction or to the extent the specific Software was provided in source code form by PromoCapture). Diligent care has been taken in acquiring and providing the information included and posted on the Site. Nonetheless, PromoCapture makes no guarantee or warranty, express or implied, as to the reliability, accuracy, timeliness or completeness of that information and assumes no responsibility for any errors or omissions therein. USER ACCESSES THIS SITE AT HIS OR HER OWN RISK. THE SITE AND ALL CONTENT ON THE SITE IS PROVIDED ON AN "AS IS, AS AVAILABLE" BASIS WITHOUT WARRANTY OF ANY KIND AND ANY AND ALL WARRANTIES OF MERCHANTABILITY OR FITNESS FOR A PARTICULAR PURPOSE OR NON-INFRINGEMENT ARE SPECIFICALLY DISCLAIMED. NEITHER PROMOCAPTURE NOR ITS AFFILIATES, EMPLOYEES, AGENTS OR THIRD PARTY CONTENT PROVIDERS SHALL BE LIABLE FOR ANY LOSS RESULTING FROM USE OR UNAVAILABILITY OF INFORMATION OR CONTENT ON THIS SITE, INCLUDING BUT NOT LIMITED TO ANY LOST PROFITS, LOSS OR DAMAGE TO DATA, OR ANY DIRECT, INDIRECT, SPECIAL, CONSEQUENTIAL, COMPENSATORY OR INCIDENTAL DAMAGES, EVEN IF THEY HAVE BEEN ADVISED OF THE POSSIBILITY OF SUCH DAMAGES. THIS DISCLAIMER IS APPLICABLE TO ANY DAMAGE OR INJURY RESULTING FROM NEGLIGENCE OR OMISSION OF PROMOCAPTURE, COMPUTER VIRUS OR OTHER SIMILAR ITEM, TELECOMMUNICATIONS ERRORS, OR UNAUTHORIZED ACCESS TO OR USE OF USER INFORMATION THROUGH THEFT OR ANY OTHER MEANS. PROMOCAPTURE IS NOT LIABLE FOR CRIMINAL, TORTIOUS, OR NEGLIGENT ACTIONS OR OMISSIONS OF THIRD PARTIES THAT AFFECT THIS SITE. IN NO EVENT WILL PROMOCAPTURE OR ANY OF ITS AFFILIATES, AGENTS, EMPLOYEES, ASSIGNS OR THIRD PARTY CONTENT PROVIDERS BE HELD LIABLE FOR ANY TORTIOUS OR ILLEGAL CONDUCT OF OTHER USERS. IN NO EVENT WILL PROMOCAPTURE OR ANY OF ITS AFFILIATES, AGENTS, EMPLOYEES OR ASSIGNS BE HELD LIABLE FOR ANY DAMAGE TO EQUIPMENT, HARDWARE OR OTHER PROPERTY OF USER OR PERSONAL INJURY THAT ARISES IN CONNECTION WITH USE OF THE SITE. PromoCapture does not object to links on third-party sites to the homepage of the Site in an appropriate context. However, "framing" or "mirroring" the Site or any of its content is prohibited without the prior written consent of PromoCapture. The Site may provide links to other sites or resources available on the Internet. Because PromoCapture has no control over such sites and resources, you acknowledge and agree that PromoCapture is not responsible for the availability of such external sites or resources, and does not endorse and is not responsible or liable for any content, advertising, products or other materials on or available from such sites or resources. You further acknowledge and agree that PromoCapture shall not be responsible or liable, directly or indirectly, for any damage or loss caused or alleged to be caused by or in connection with use of or reliance on any such content, goods or services available on or through any such site or resource. Users are prohibited from violating or attempting to violate the security of the site. PromoCapture will investigate occurrences of possible violations and will cooperate with all applicable law enforcement authorities in prosecuting violators. PromoCapture uses reasonable security measures and takes reasonable system, process and administrative precautions to protect the security and integrity of email and other electronic communications that you may send to us. Despite all these precautions, no method of transmission over the Internet is entirely secure and we cannot guarantee the confidentiality or security of the electronic communications or its contents. You transmit such information at your own risk and you should decide very carefully which information you want to send us via any electronic communication. © 2019 PromoCapture LLC. All Rights Reserved.